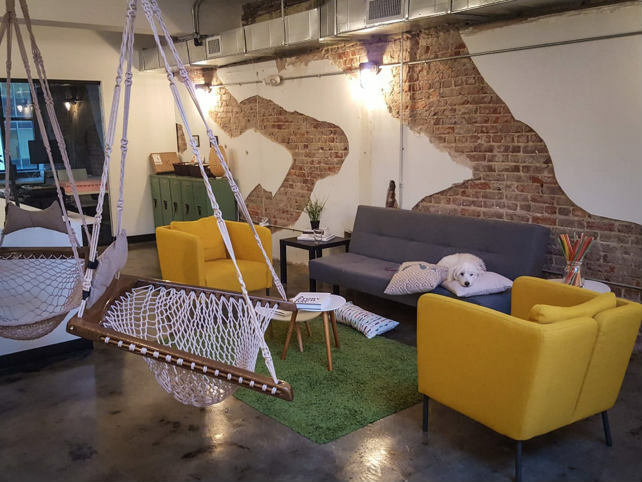 Raleigh is taking full advantage of the coworking space trend, offering those who work from home or have small businesses a range of locations to work. As with many other cities and suburbs, more coworking environments are frequently added to Raleigh, offering even more amenities. The Loading Dock has month-to-month membership plans, with unlimited hours per month starting at $300 and a dedicated desk starting at $400. The latter of these includes a dedicated desk, including filing cabinet and personal chair, plus 10 hours per month of meeting space, 100 pages per month of free copying and printing, a personal address and mailbox, enterprise-level Wi-Fi, complimentary fair-trade coffee, and free parking. There are also options for fully furnished private offices. Coworking Station is technically just outside Raleigh. It offers month-to-month options as well as leases for six months or more, with a discount for leases of at least a year. You can also opt for a day pass or a five-day-pass bundle with café workspace, free beverages, and unlimited fiber internet. Otherwise, pricing starts at $225 per month for unlimited café workspace access, print/copy/fax capabilities, a $100 Meeting Space Credit, and a mailbox. Prices start at $349 per month for a designated desk, and private offices are available. 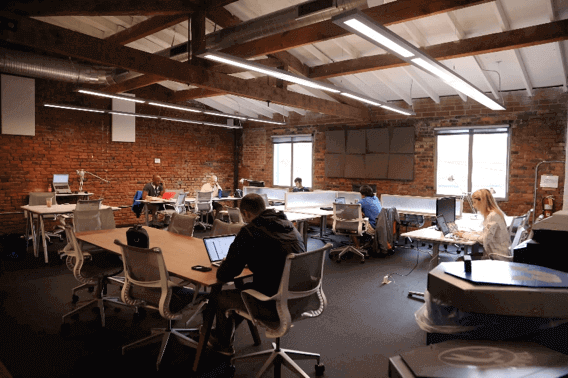 HQ Raleigh is actually one of several locations of a much larger coworking company with spaces across the country. 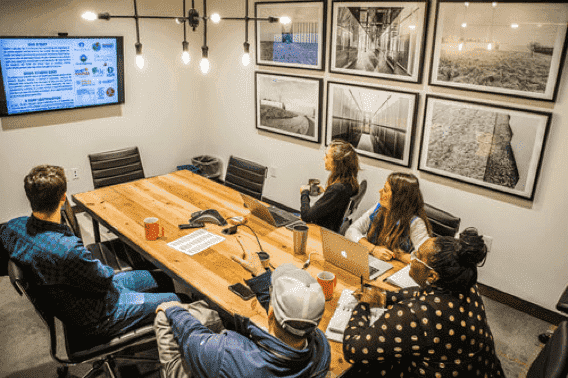 There are 30 private office suites, along with an upstairs coworking space, six small “huddle” rooms, three larger conference rooms, and five phone booths. There is also a multipurpose room. Members have access to the NCSU Entrepreneurship Clinic, a bar with Lonerider Beer, a café space that includes a full-service kitchen, and specialty coffee equipment from Jubala Coffee. Pricing starts at $125 per month. Designated desks start at $350 per month and include a personalized mailbox, Wi-Fi, and a scanner/copier/fax. Nest Raleigh is located downtown for convenience and gives customers access to communal spaces, desks, couches, suites, and other work areas. There are phone booths and suites for privacy, plus a full kitchen with coffee and beer, parking, fiber internet and Wi-Fi, event space, and a conference room.